Motivation can sometimes seem only surface deep if not looking at what really drives us. The weeks leading up to this event had me looking for reasons not to race. That’s because I was looking in the wrong place for the inspiration I needed. 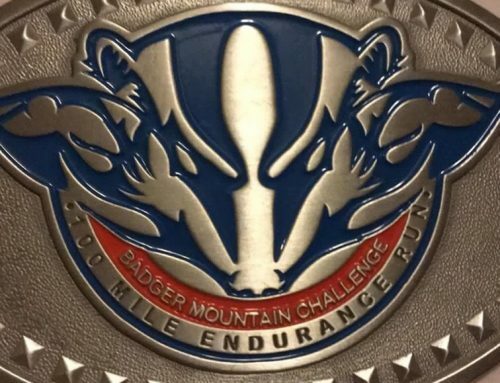 I was looking at it as a race just to race and not for the real reasons I signed up many months prior. The XTERRA Smokechaser 30k is a true mountain run; 30k out and back to an exposed ~7000’ peak in the Selkirks of northern Idaho. Not just a race, but an excuse to have a guided tour of an area I had yet to explore. So my conclusion was, get up early and do something. You will find motivation with a sunrise and a cup of coffee. I once read to let the course dictate the distance, not the distance dictate the course. This thought process I have respected, utilized and appreciated when applied. Ken (RD of Smokechaser) applied this well and had us running from a sandy beach to a craggy summit and back. 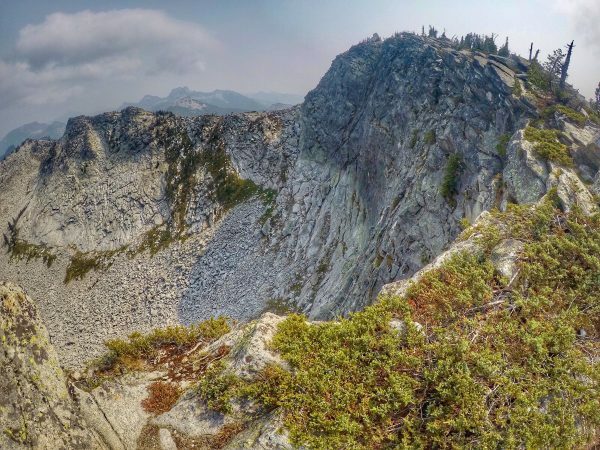 Staged from the Lionhead area of Priest Lake State Park in northern Idaho, the Smokechaser is a 30k and a 5-mile trail race. 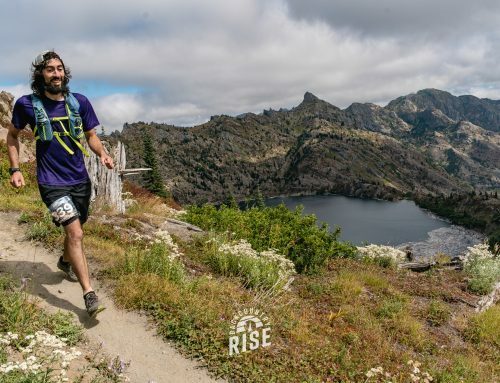 As the race website states, “this trail race starts on the shores of Priest Lake Idaho and runs through sections of lush forest and alpine terrain to a historic fire lookout tower at 7200′ elevation. In the early days of wilderness firefighting, the Smokechasers were brave protectors of our forests who trekked into the wilderness, sometimes alone to put out fires or “smokes” started by lightning strikes. The race utilizes forest service roads and two-track to gain the summit of Lookout Mountain. 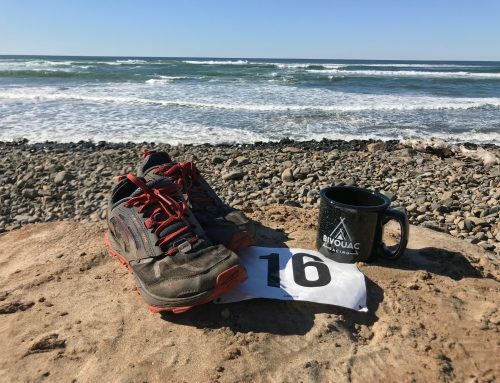 Before the grumbling of too little single track starts, remember that this is an out-and-back and you are thankful to have space later in the race. Once the course clears the trees you are awarded views of Priest Lake and the surrounding peaks. The most exciting part of the course is easily the most overlooked. The final four miles are slight to steep downhill forest service road. Begging for the finishing line to come into sight, runners are given one last stress test of looking over your shoulder for those closing in. I won’t detail the actual racing too much. 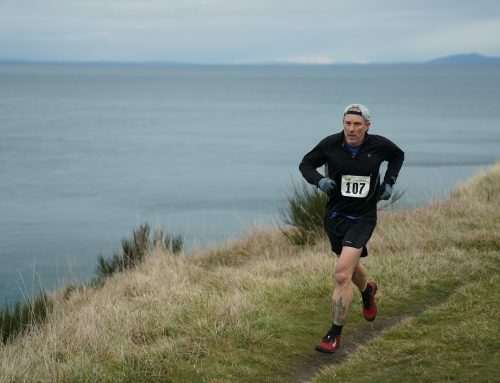 But know, I raced hard, struggled at times, smiled at the summit and was looking over my shoulder those last few miles. The mind game of holding back just enough on the 9 miles of up to ensure that you can roll the downhill was the strategy of the day. I love techy descents and felt I played my hand well. What I really want to express is that this race has a homey feel, just what you need, and in an area that is stunning. The Lionhead area of Priest Lake State Park is the perfect place to stage a full weekend of trail running. You have the ability to camp overlooking Priest Lake and run from your tent to exposed granite peaks. Since the Smokechaser has two distances, you can choose to race as much or as little as you like and still have legs left to explore the many other peaks in the area. Post run recovery takes place in the welcoming cold waters of the lake. North Idaho deserves the time and exploration. The area is littered with so many trail options and fun low key races. The comradery and welcoming spirit draw you back just like the unexplored terrain. Within minutes of my leg soaking recovery, the locals had invited me back to weekends of trail running. This sense of community is what drew most of us to the dirt in the first place. 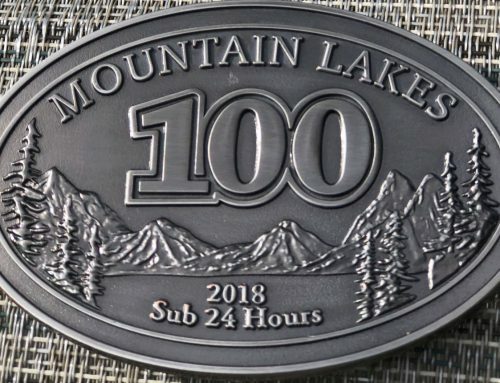 Whether you are looking for another race to add to the calendar or a new spot to find an escape, the Priest Lake area, and the Selkirks offer just what you desire. Nothing more than miles and miles and feet upon feet of good running in the mountains. So, find your motivation and enjoy a cup of coffee with sunrise on your way to something new. Kirby Walke lives in Spokane, WA where he spends much of his time exploring the wild lands and mountains with his family. Known to seek out big days in the mountains, he also finds time to pursue the daily expeditions of raising a family with adventure stamped into their hearts. Love your article about the race. I typically like much longer races but the view from the top was amazing and the downhill and uphill were awesome.